A quick note to my fellow recovery bloggers and aspiring writers: if you haven’t yet tried it, I suggest using Grammarly’s plagiarism checker because you never know what us drunks are capable of (kidding!) – and it’s way more fun to read original stuff! As many of you know, I love recovery-related books. Before I ever got sober, I was reading books about people who had been there, done that. At the time, I secretly had concerns over my own drinking, but it would be months before I admitted I had a problem. And, then when I finally did get sober, I had this overwhelming need to know that there were other “normal” people like me out there who had gone through the same thing. That was a very lonely time for me and the voices that came through the pages of those books took away some of that loneliness and gave me hope. 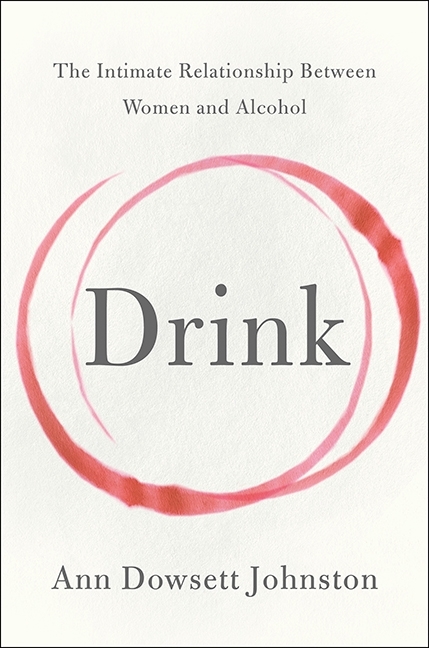 One of the main differences in Johnston’s book compared to other recovery-related books that I have read is that Johnston takes it a step further and really addresses the core issues related to drinking, women and our culture. She raises key questions, such as “why are we aware of the dangers related to trans fats and tanning beds, and blissfully unaware of the more serious side effects associated with our favorite drug?” And, most importantly in my opinion, she takes aim and questions the motives behind the alcohol industry, media and politics and how they all work together to feed this growing rise of drinking and alcoholism among women. Giving the history behind the alcohol industry to attract more women, she describes the development of “alcopop” or “chick beer,” and I couldn’t help but be reminded of the loads of Zima, Mike’s Hard Lemonade and Smirnoff Ice I used to drink. I often think about what I’ll tell my kids about drinking. While I would love to tell them to never touch it and avoid it like the plague, I know that’s not realistic. But, I will tell them the risks. I will tell them my story and how easy it is to get caught up in a culture that normalizes drinking. I will tell them they have a history and they need to be very, very careful. I will tell them that no matter what, they never HAVE to drink. And, I will tell them that alcohol changes you. It changes the person God intended you to be. Johnston’s book inspires me. It inspires me to tell my story and do my part in telling the truth about drinking. As a side note, I was not paid for this review – I simply liked the book. However, this post was sponsored by Grammarly. Like when she says, “I understood passing out, because I did it nightly. It was the reason I usually got in my jammies and went to bed earlier than Dave. I didn’t want him to find me clothed, unconscious, and somewhere other than bed, making it obvious I hadn’t intentionally fallen asleep.” Yep, been there, done that. Or, when she describes getting honest with her husband about her drinking. “An idea that filled me with terror. Not because I was afraid of Dave’s reaction, but because I knew that once he knew the truth, it was all over. One way or another, I was going to lose something I couldn’t imagine living without.” For most people it would be a simple decision, give up alcohol to save your marriage and family. But for an alcoholic, it’s one of the hardest decisions we’ll ever be faced with because at that moment in time the thought of living without alcohol is nearly unbearable. Heather gives a telling, yet often humorous portrayal of early recovery like when she describes flipping through a Pottery Barn catalog and noticing all the wine glasses filled with “what looked like a smooth, buttery Chardonnay” and wondering who got to drink it after the photo shoot. Oh, how I could relate! Once sober, I had to cancel my subscription to Sunset magazine because I couldn’t handle all the wine and cocktail recipes. And, I still find it troubling to flip through Pottery Barn catalogs because of all the drinking! Crazy? Maybe. True? You bet! There are parts of Heather’s book that will make you laugh out loud and others which will show you the sadness and depth of a person trying to dig themselves out of that black hole we call alcoholism. Newly sober, she says, “It hit me then for the first time that while drinking had helped me to escape many negative aspects of reality, I’d missed so many of the good parts, too.” Reading this, I was reminded of the Easter years ago when I got so drunk the night before that I passed out and was unable to put the kids’ Easter baskets together, leaving my husband responsible for figuring out what belonged to who and putting their baskets together. It’s painful to remember those times, but it’s necessary because it’s part of my story. And, that’s how we do it folks! Well, at least that’s how Heather and I do it! Heather and her publisher have been kind enough to offer a giveaway of her book to one of my lucky readers – that sounds so game showy, doesn’t it?! So, this is how we’ll do it. You have ’till Friday 9/2 at 5:00 pm PST to post your comment. I’ll then number all the comments, put them in a bowl and have my hubby draw one. I’ll then contact the lucky reader with details.